SpiderTech™ Gentle based on the same high-grade breathable cotton material uses a gel-like, gentle adhesive that minimizes skin irritation without losing its grip. 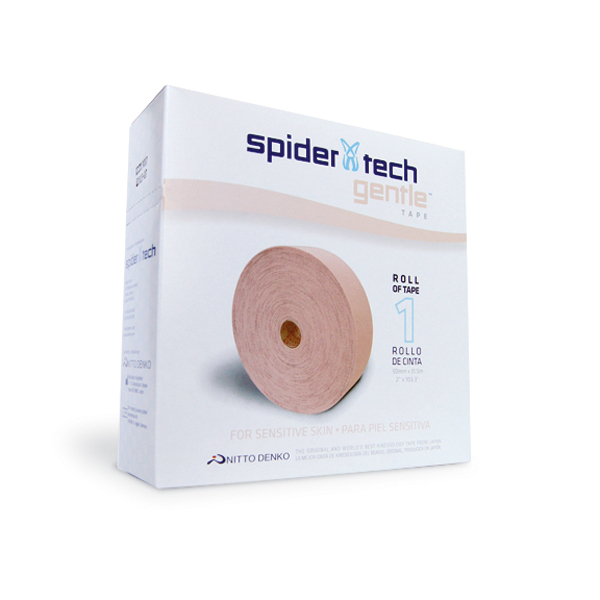 SpiderTech™ Gentle, the Stratagel adhesive conforms to the entire skin area, allowing its gentle adhesive to maintain grip without irritation during wear, and minimizes the amount of skin cells damaged during removal. Hypoallergenic, latex-free. Greatly reduces skin redness, itching, and minimizes skin irritation. Less discomfort with removal of tape or applications. Allows continuous applications without irritation. Great for patients with sensitive skin, including Geriatric and Pediatric applications.